The Eagle Creek Fire in 2017 burned close to 50,000 acres in the Columbia Gorge. 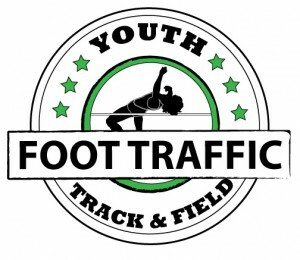 Many running events were postponed, rerouted and even canceled, Bridge of the Goddess being one of them. Thankfully organizers were able to reroute and continue this great race in 2017, despite the fire. Fast forward to 2018 Bridge of the Goddess is back to where it all begins, with a start line at The Bridge of the Gods. Bridge of the Goddess Half Marathon and 10K in the Gorge started early morning 8:00 am on race day. Thankfully, I picked up my packet the Thursday prior, at Portland Running Company. There was even no line! They had several options for packet pickup, which made it so nice. Usually, I am always the one picking up my packet on race day! I arrived early on race day to make sure I made it to the starting line in plenty of time. With a start time of 8 am for both 10K and half marathoners, I knew I had to get an early start coming from Portland. From parking to the race start was about 3/4 mile walk, the perfect warm up. Once at the start line, there was gear check, coffee and snacks, music and the perfect opportunity to take photos (see above). 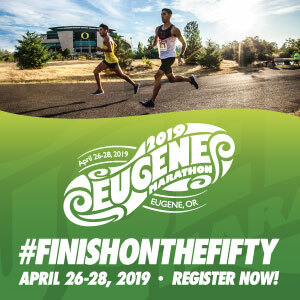 The race started on a Gorge-ous route that departed from the deck of Bridge of the Gods then taking participants on the historic Columbia River Highway Trail. The course had some major inclines, but the views were what kept my mind from thinking about the hills. 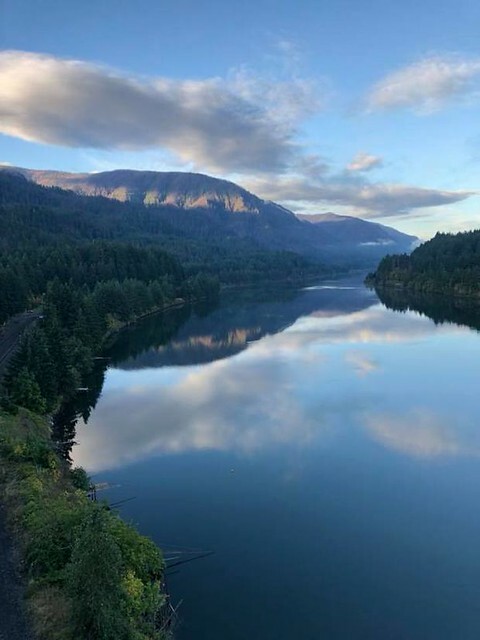 Because of the Eagle Creek Fire, there were restrictions on the regular route, but the new route was just as beautiful. The half marathon course had two out and back loops. The best part about the course besides the amazing views, were the opportunity for spectators to route and cheer on the runners. There truly is nothing better than seeing your family cheer you on, while running a race. Once crossing the finish line all participants received their medals. This year, the medals featured the Bridge of the Goddess Logo, complete with wings. The post race celebrations are always my favorite part of the race. With yummy food, drinks and music! 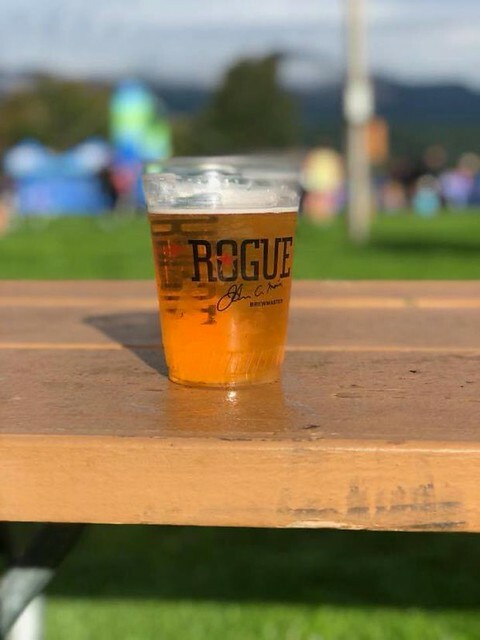 I really enjoyed my post race beverage from Rogue Beer, WhiteClaw was also there, with plenty of samples. 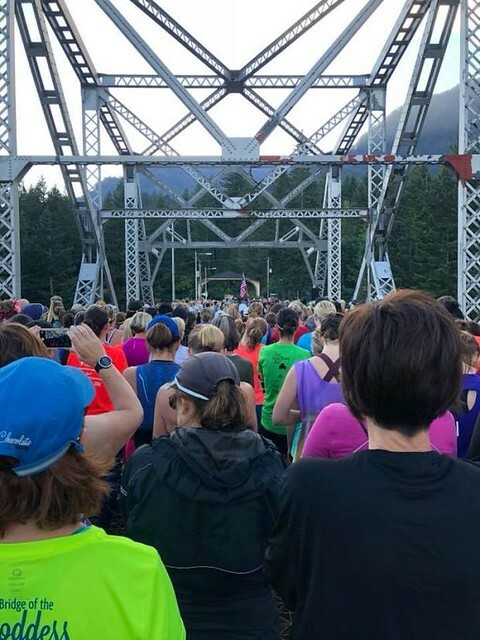 Bridge of the Goddess is such a fun race, with amazing views, a challenging course and great volunteers, this is one you will want to put on your race calendar for next year!